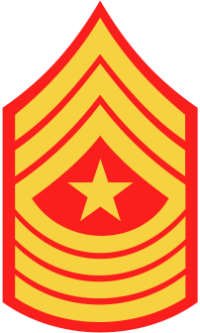 Sergeant Major Joseph John Franklin (18 June 1870 - 28 April 1940) was a U.S. Marine who received the U.S. military's highest award for valor, the Medal of Honor, for his heroic actions during the Spanish-American War. 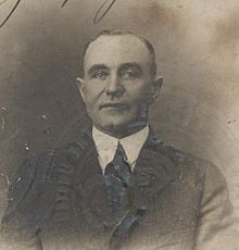 Joseph John Franklin was born 18 June 1870 in Buffalo, NY. After entering the U.S. Marine Corps in 1896, he was sent to fight in the Spanish-American War aboard the USS Nashville. Citation: On board the USS Nashville during the operation of cutting the cable leading from Cienfuegos, Cuba, 11 May 1898. Facing the heavy fire of the enemy, Franklin set an example of extraordinary bravery and coolness throughout this action. Sergeant Major Joseph John Franklin died on 28 April 1940 and is buried at Cypress Hills Cemetery in Brooklyn, NY. His grave can be found in the Laurel Green Section, Block 1, Grave 312.